When I started gaming, people tended to play Dungeons & Dragons with larger parties than now. When game session fell short of 8 or more players, dungeon masters often added their own character to fill the group. To me, the practice seemed dodgy. The spotlight belongs on the player characters. The players’ choices steer the adventure; their characters’ actions create the story. Over my career as a DM, I’ve read countless how-to-DM guides. They all warn against letting non-player characters overshadow the PCs. I read this advice and probably shared a typical reaction: No duh. I never felt tempted to create a pet NPC, but I never even created an NPC who traveled with the players. Lately, I have run some adventures that added NPCs to the party. To my surprise, the additions worked. They enhanced the game. 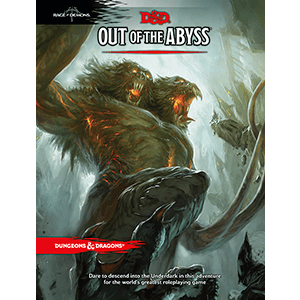 Out of the Abyss begins with the new PCs held captive. They meet other several other prisoners, and everyone joins in an escape. The PCs and NPCs find themselves deep in the Underdark, traveling together for as long as their paths overlap. As the adventure progressed, NPCs left the group, leaving a pair traveling companions: Jim Jar, the gambling deep gnome, and Sprout, the young Myconid. I started to see them enrich the game. The ongoing characters became more vivid than the usual walk-on NPCs. The players enjoyed interacting with them. Players never care about the NPCs they meet in passing, but now they became emotionally attached to a silent mushroom boy. Plus, the traveling NPCs served as guides. Most D&D players feel at home in a fantasy setting, but the Underdark should seem alien. The party’s Underdark natives helped me reveal the strange environment. They could give background information and show the way. Walk-on NPCs could have met the party and dispensed information, but having a guide creates a certain economy. The players don’t need to keep meeting characters they never see again. Instead, the guides save time while they build bonds. 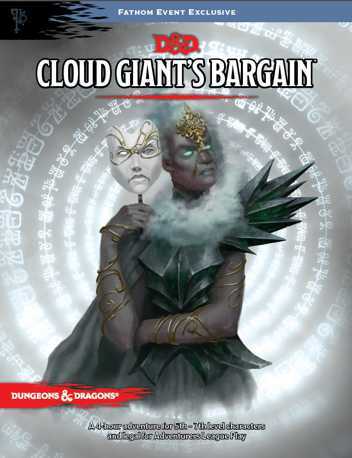 The adventure Cloud Giant’s Bargain also adds an NPC who guides the players. This adventure takes place in a typical (for D&D), flying castle, so its guide doesn’t help introduce the background. But this adventure aims to introduce D&D to new players, so instructor Tulahk guides novices through the adventure. He reminds players to do the sneaking, investigating, and diplomacy that will lead to success. Plus, Tulahk is crabby, talking skull, so when I ran the adventure, I had fun channeling J. Jonah Jameson while calling the PCs empty-headed boneheads and numskulls. Despite the advantages of giving a party an NPC guide, only add them when they serve a role. And then keep the guide out of the spotlight. The players must prove more capable than their guide. Tolkien understood the risks of letting a powerful figure upstage his main characters. He kept contriving to have Gandalf leave for important business elsewhere. If a guide reveals more power than than the PCs, the players will wonder why they showed up. On the other hand, if you mix in NPCs who the players can upstage, and who admire the PC’s exploits, the PCs shine even brighter. This entry was posted in Advice and tagged Cloud Giant's Bargain, Ed Greenwood, Elminister, non-player characters, Out of the Abyss, role playing, Tolkien. Bookmark the permalink. Thanks for mentioning Cloud Giant’s Bargain. Instructor Tulahk is something I added because it was likely that new DMs would be running the adventure, and it was a higher level adventure with some impressive foes. I wanted to help those new DMs feel a bit grounded and capable when it came to giving directions to players or reigning them in. Tulahk could give them a voice… it was the NPC, not them, chiding them for wanting to do the wrong thing! I generally agree that drawing away from PCs is bad, but as a young DM I brought along my pet NPCs and even characters often. It was something our groups did back then. We did have some golden rules (such as not making choices), and I think it was manageable… though the game is better without that. Having specific NPCs that act as guides is different, I agree, especially when the DM is given instructions on how to use them effectively. The more that their role is clear, and they facilitate the play, the better. I think that is often a hard task for a writer. Excellent post. There is a difference between allies and DMPCs, the world itself doesn’t make much sense if every local law enforcer is incompetent, the standing army isn’t able to hold the gates, and every knight is stupid. There are high level characters out there, and they can either enhance play, or unnecessarily limit it. I’ll allow the PCs to convince an NPC to briefly join the party. That is what specialists are for. The running of specialists is a talent, and there are a lot of reasons why you should use them. Competent allies are good. Occasionally they might even keep pace with the PCs. I don’t think Gandalf & Elminster are good models to emulate for most campaigns. Tolkien had the talent to pull it off, you probably don’t. Greenwood’s players might enjoy Elminster but to many people he’s a horrible Marty Stu.